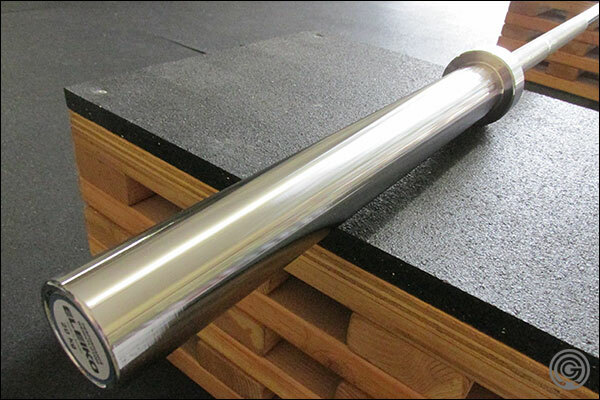 This is an in-depth review of the new Eleiko NxG Performance Weightlifting Bar. This bar is offered as premium, less expensive alternative to the Eleiko IWF Training and Competition weightlifting bars for the sole purpose of training the Olympic lifts. 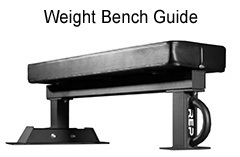 The Performance WL Bar is functionally no different than its more expensive big brothers. It features the same 215k PSI Swedish shaft, same type and quantity of needle bearings, and same premium chrome finish. It only differs in that is lacks IWF-certification, calibration, and it has knurling that is 0.2 mm less in depth (1 mm versus 1.2). At $140 less dough than the IWF Trainer and $220 less than the Comp Bar, the Performance Bar is probably the bar you should be looking at for your garage gym or Olympic training center. There is, of course, a women’s variation of the Performance WL Bar. The following specs are different: weight: 15 kg; shaft diameter: 25 mm; center knurl: no; loadable length: 320 mm; length 2010 mm. Rotation, shaft material, finish, knurl, and price are the same. 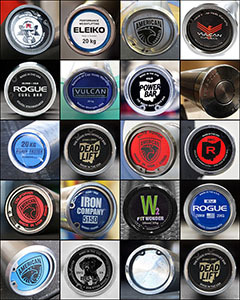 With the introduction of NxG we saw a lot of improvements and tweaks made to the entire Eleiko barbell line-up. We also saw a couple of barbells being renamed. As you might have guessed by now, one of those bars is the Sport Training Bar, and it’s the NxG Performance Weightlifting Bar that’s replacing it. Fear not though Eleiko Sport fans, as only the name has been changed. The Sport Trainer and the Performance Weightlifting Bar share all the same specifications, so except for all the new features of the NxG barbells they are the same bar. And speaking of NxG features, here is a summary of what’s changed. I’ll discuss them in more detail throughout the review. 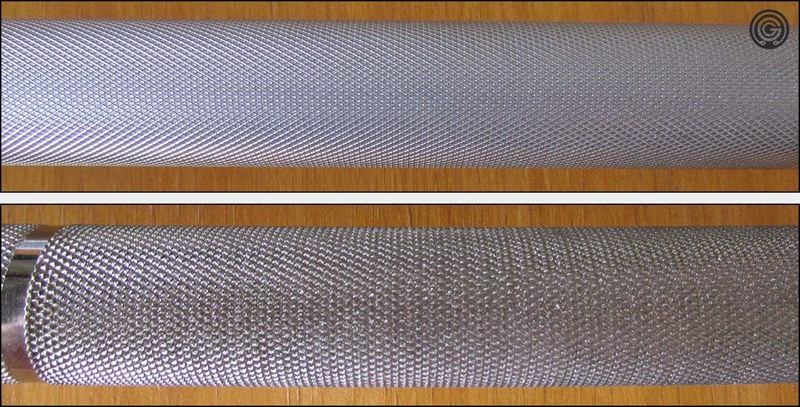 Three clearly-defined knurling depths among all Eleiko bars (1.0, 1.2, and 1.5 mm). New needle bearing design with longer life expectancy and more consistent rotation. Improved lubrication process along with dust cover to keep debris out, and lubricant in. Refinements to the steel working process that lead to a cleaner, purer, whippier shaft. Added the Performance Bars (there’s a Performance Power Bar as well). Eleiko bars are famous for their 215k PSI Swedish steel. Their proprietary blend combined with their hardening technique & finishing processes results in a shaft that’s not only strong, but extremely reflexive. The new NxG bars are effectively the same they’ve always been. Eleiko didn’t set out to fix what wasn’t broken. They did however improve their methods of hardening the steel which they say results in a cleaner, purer finished product. Now obviously none of us know how or what they do to their steel, but I’m confident when I say that these new techniques were not a change for the worse. Eleiko has three different clearly defined knurl varieties now, and they are rated by depth. The Performance Weightlifting Bar has the softest of the three; rated at and labeled as 1.0 mm. This is a moderate knurl by Eleiko standards, but still an aggressive knurl by industry standards. Eleiko Performance Weightlifting Bar – knurl detail. If you think back to the old way of knurling for Eleiko, with the XF being the lightest knurled and the Competition Weightlifting Bar being the most aggressive, think of the 1.0 mm knurl as what was found on the XF. I realize that the old way of knurling was mostly pretend, but that’s the best way to illustrate things. 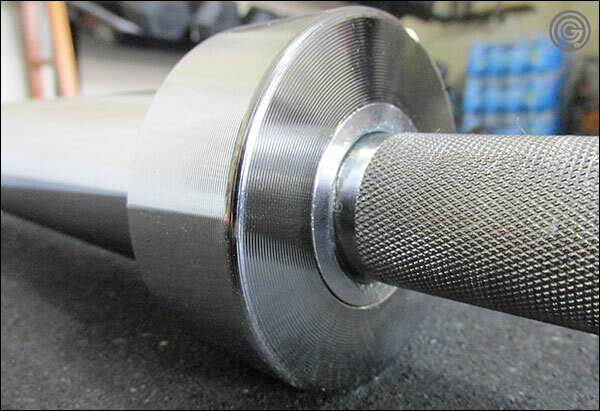 All of that aside, the knurling on the Performance Weightlifting Bar is brilliant. It still has the expected Eleiko firmness and bite to it, but it’s not so aggressive that you wouldn’t want to triple with it, or even go for sets of five or more. It’s well-defined, consistent, and everything you’d expect from an Eleiko bar. The Performance Weightlifting Bar contains four precision needle bearings per sleeve; the same quantity and type of bearings used in the IWF Competition Eleiko bars. In all the new NxG bars, the bearings have changed from those of previous gen bars; improved even. I’ll do my best to explain why that is. In pretty much every single needle bearing bar currently manufactured (with the exception of American Barbell’s bearing bars) standard needle bearing cartridges are used (see pic below, left). These needle bearings are fine. They’re strong, they offer great spin, and they tend to last. Unless you’re buying a sub-$300 needle bearing bar, it’s probably somewhat safe to assume the manufacturer invested in decent needle bearings. With NxG bearing bars, Eleiko has joined American Barbell in their use of the bearing style you see on the right. This bearing type serves the same purpose, only it has an inner race, and this inner race accomplishes a couple of neat things. First it prevents contact between the needles of the bearing and the bar shaft. The needles are much harder than the shaft, so over time the needles can create a track or flat spots on the shaft. This, of course, is no good in the long-term, as it can hinder rotation. Second, these inner race bearings have much higher dynamic and static load capacities. In some cases two to four times the load capacity of the same-sized standard needle bearing. Technically just one of these bearings can handle the load that two or three normal needle bearings can handle, so when you have four of these beasts in each sleeve you can expect to have zero issues over the years. Finally, these inner race bearings stay lubricated for longer. This is especially true now that Eleiko has incorporated dust seals into their sleeve design. Less crap gets into the sleeve assembly, and less lubricant finds its way out. 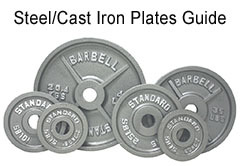 More grease equals less friction, less wear, and less maintenance; a longer lasting barbell. One of the first things that you’ll notice when you handle a barbell with this type of bearing is that the sleeves don’t turn over 100 times with no weight loaded. Don’t worry about this; it’s normal. The thing about this type of bearing is that they spin smoothly and consistently under any possible load. Whether you load up 100 kg or 300 kg, turnover will feel the same. Obviously you’ll never clean 300 kg, but the shaft would turn over 180º no problem if you did, and that is exactly the point. There’s no loss of spin at high loads. Please note that the images of bearings above are not the actual bearings from either the Eleiko or American Barbell bars. They both have their own bearing suppliers and I am not privy to those details. The images are just stock photos used to illustrate the differences. The claim is that the refinements made to the steel-working process leads to a more pure, cleaner, and therefore whippier steel than before. On a technical level this may indeed be true, but from my own personal back-and-forth between the NxG and a previous-gen bar, I would be lying if I said I could tell the difference. Is that bad? Eleiko is world-famous for their springy Swedish steel. Even if there’s only a 3%-5% gain to shaft purity and elasticity, it’s still one of the whippiest shafts around made better. Besides, you must know that there is only so much you can do when shaft diameter, bar length, and total weight is set at very specific values. Tweaks can be made; as they just were; but major changes would require a steel change, and why would Eleiko ever want to do that! As with most Eleiko bars the only real downside is the price tag. 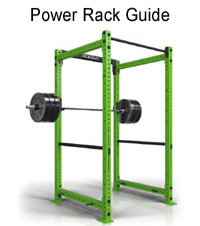 $729 is a lot to spend on a training bar; there’s just no arguing that. Or is there? In today’s bar market one could argue that this price point really isn’t all that unreasonable. Eleiko is the McLaren of weightlifting equipment after all, and you don’t have to look that hard to find other WL bars that sell pretty darn well for about the same money; the Rogue Euro at $695 or the American Barbell SS Bearing Bar for $675, for instance. 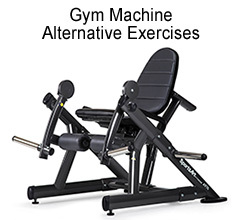 Considering the similarities to the Eleiko IWF line, the $729 price tag is really quite fair. Everything else about this barbell is a pro; the cut and feel of the knurling, the consistency of Eleiko’s chrome finish, the springiness of the shaft, and unstoppable sleeve rotation. All Eleiko bars are functional works of art, and the Performance Bar should be the last Olympic training bar you ever buy unless you just enjoy buying new bars (which I totally get). Of all the Eleiko bars, the Sport Trainer was surely the one I got asked about the most. I’m fairly certain that the lion’s share of weightlifters who own an Eleiko WL bar own the Sport Trainer, and I believe this has everything to do with the fact that the Sport was more or less indiscernible from it’s big brother; the IWF Trainer; yet it sold for significantly less money. I have little doubt that the NxG Performance Training Bar will carry on that tradition of being the most popular Eleiko bar among Olympic weightlifters as it truly is a better bar than its predecessor. Between the improvements to the steel, the updated bearing system, refined knurling, and a longer life expectancy, the Performance Trainer is an amazing barbell made even better. All of these changes are improvements to either performance or longevity; not just frivolous modifications made for the sake of marketing. 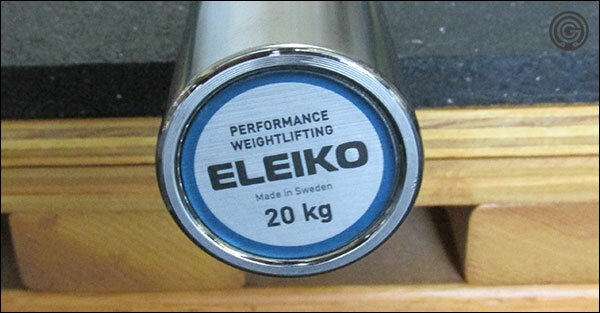 When it comes time for an intermediate or advanced weightlifter to buy his/her last Olympic bar, Eleiko simply must be in the running. And unless you are actively competing and need access or exposure to Eleiko’s IWF line, I see no reason why the Performance Olympic Bar shouldn’t be considered over the more expensive IWF Trainer or Competition Bar. This is a beautiful, high-performance piece of equipment, and assuming you have the necessary skill to appreciate it the and funds available to afford it, it’s worth every damn penny. Refinements to the steel working process that lead to a cleaner, purer, whipper shaft. Thanks for all the work that you do! haha got it, thank you very much. To my knowledge they do not publish the depth of the center knurling, but it is not 1 mm like the rest of the bar. It’s much more passive; maybe half as much depth if that. Center knurl is really only on the men’s bars because it’s still a requirement of the IWF, but the IWF doesn’t specify depth so manufacturers just put a very light knurl there. You don’t find a center knurl on women’s bars because the IWF doesn’t require it. You can find true Oly bars without a center (like the Rogue Oly has that option), but if you’re really gonna get into weightlifting you may as well get used to that being there. Thanks for putting all of these reviews here, they are a lot of help. If you compare Rogue Ohio bar and Eleiko knurl, how much they have the difference? You say Eleiko is 1 mm knurl, but how much is Ohio bar knurl mm? I have it now Rogue Ohio bar and i am now novice or an intermediate lifter. I’m think buying a little better weightlifting bar and and the choice would be between the two, Eleiko Performance WL Bar or Rogue 28MM Olympic WL Bar. No one else but Eleiko gives an depth measurement so I couldn’t tell you the actual depth of the Ohio Bar, but I can tell you that the Ohio and the NxG Performance Bar have literally nothing in common in terms of knurl. The Ohio is very soft by comparison, and even the Rogue Oly is much milder than the Eleiko; though not by as much as the Ohio. I’d never tell a novice to buy an Eleiko bar unless that person just had more money than they knew what to do with. 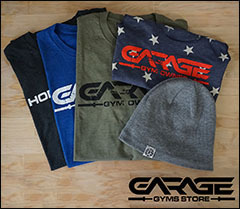 You’d do just as well with a Rogue Oly or Euro, or even a bushing-based training Oly bar like the Vulcan Elite 4 or American Barbell Performance. I mean again, if an Eleiko’s cost isn’t a deterrent or if you’re looking for a more extreme knurl, then by all means get one. I believe the best bar for me is Rogue Oly, i don’t think i need more or extreme knurl.